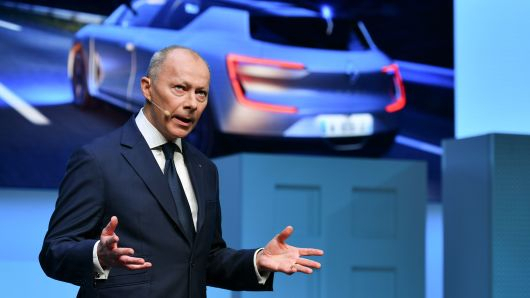 Paris: Renault SA chief operating officer Thierry Bollore has won the backing of the French government to become interim chief executive officer following Carlos Ghosn’s arrest in Japan over allegations of financial impropriety, according to a person familiar with the matter. The French state is also expected to back lead board director Philippe Lagayette as non-executive chairman to fill Ghosn’s other role, said two people, who asked not be named because the deliberations aren’t public. France is the carmaker’s most influential shareholder and is seeking consensus at a board meeting later Tuesday without imposing these recommendations, one of the people said. The move would elevate Bollore, who has been seen as Ghosn’s heir apparent since February when he was promoted to chief operating officer, and allow him to take over the day-to-day running of Renault. The Franco-Brazilian executive remains in custody in Japan and has not commented on the developments. Renault shares have tumbled since news of Ghosn’s arrest broke on Monday. They fell as much as 4.8 per cent on Tuesday after an 8.4 per cent drop the day before. Ghosn stands accused of under-reporting income of about $44 million (Dh161.6 million) and misusing company funds at Nissan Motor Co, where he was also chairman. The developments cast doubt over the future of the long-standing Renault-Nissan-Mitsubishi Alliance, held together by his towering presence. Bollore, 55, a soft-spoken French national from Brittany, joined Renault in 2012 from car parts supplier Faurecia SA, where he rose through the ranks to become vice-president with responsibilities for global industry, quality and packaging. He started his career at tiremaker Michelin, working there for a number of years at the same time as Ghosn, who has called Bollore a “good candidate” to become Renault CEO. Lagayette, 75, has been on Renault’s board since 2007 and leads the audit, risks and ethics committee as well as being part of the grouping that oversees remuneration. Ghosn, who was set to leave in 2022, had been laying the groundwork to ensure a future for the alliance, including the option of a merger. The set-up has come under pressure from Nissan in recent years because of its lopsided balance of power in favour of Renault. Through complex cross-shareholding arrangements, Renault owns 43 per cent in Nissan, including voting rights, while Nissan owns a 15 per cent non-voting stake in Renault. In a letter sent to Renault employees on Monday, Bollore expressed full support for Ghosn and pledged to preserve the alliance.